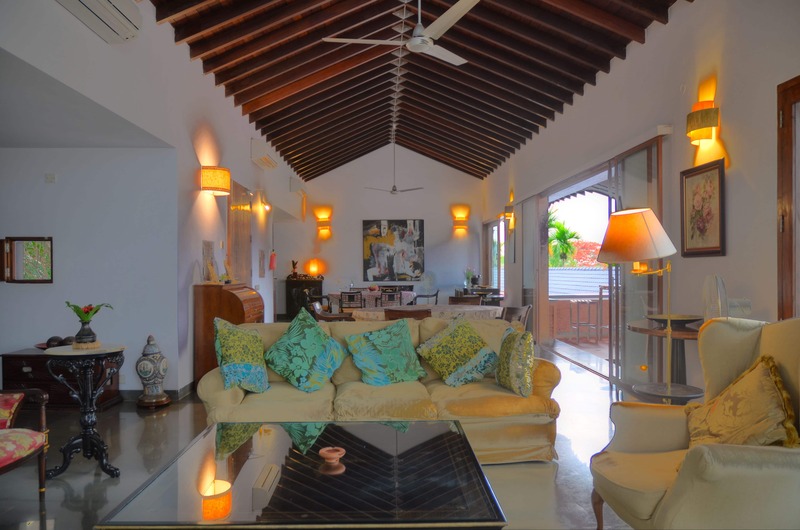 The spacious 3 bedroom contemporary villa located in Corjuem is ideal for those searching for peace and tranquility. 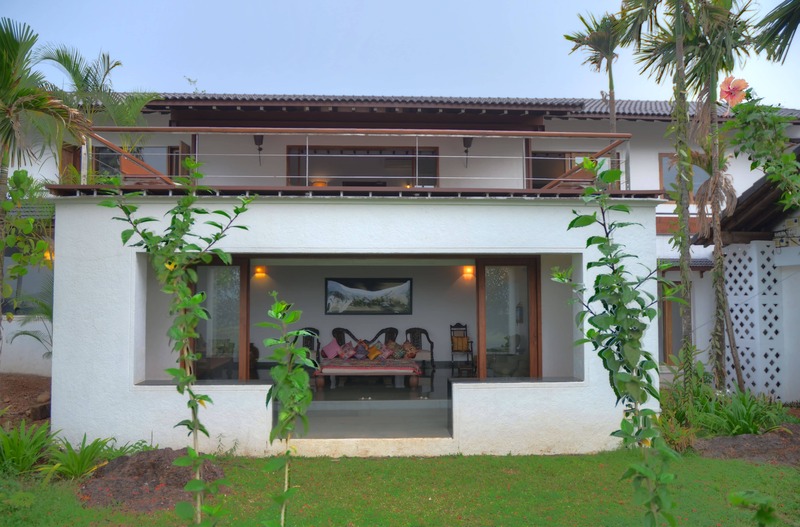 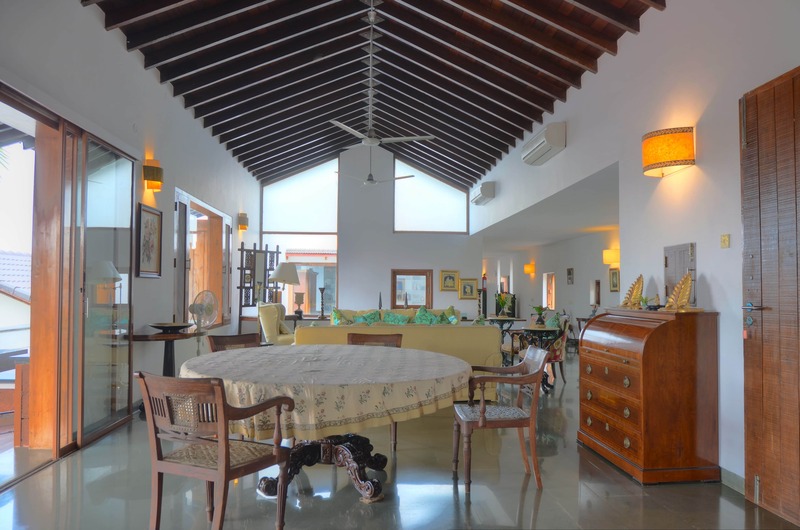 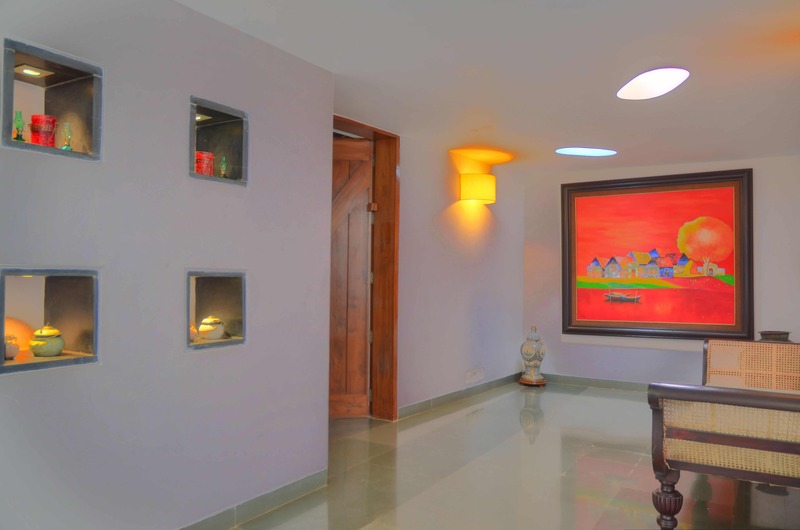 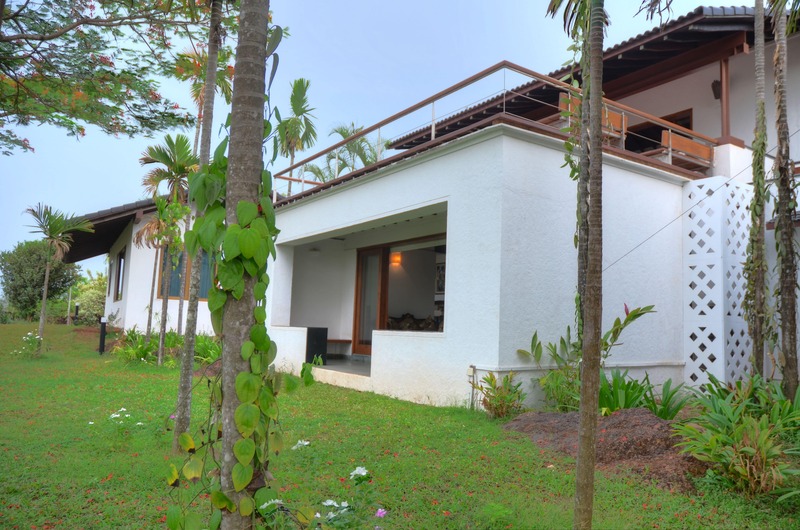 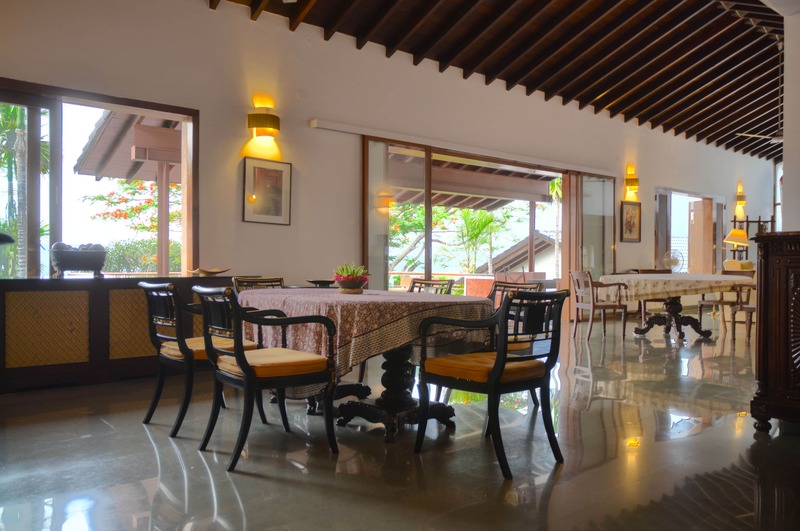 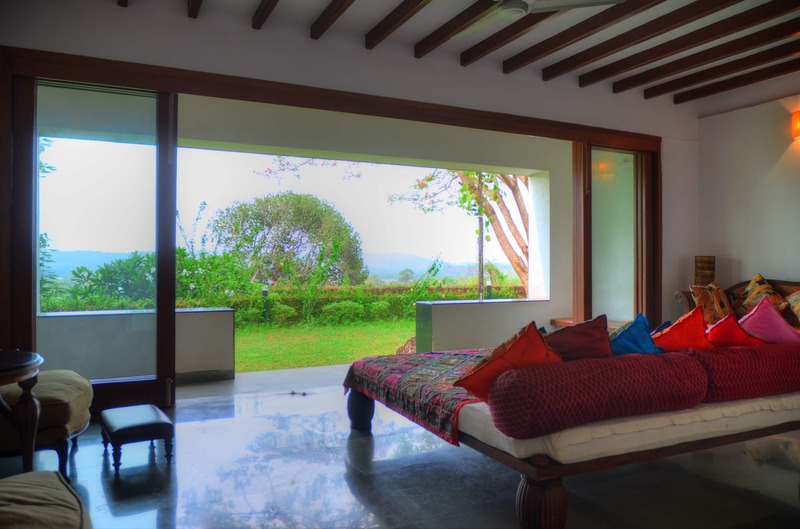 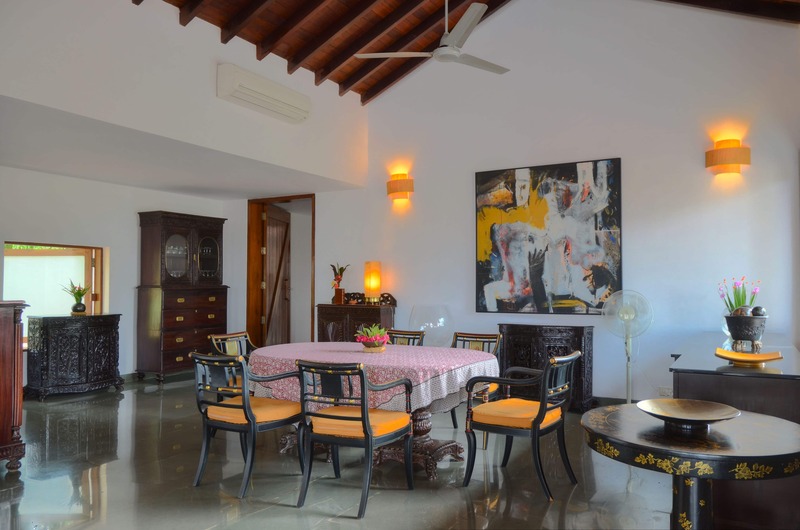 The villa is part of a 10 acre hill top property with a large garden and an infinity pool that overlooks the Mapusa River. 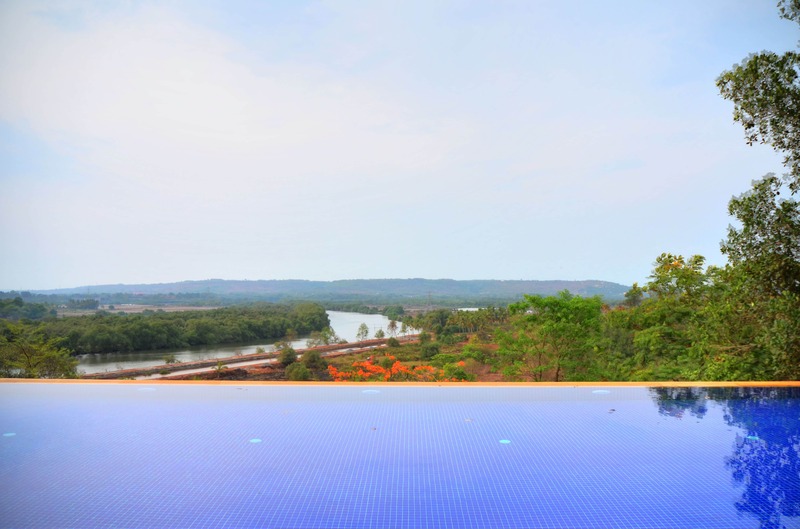 Corjuem is 20 min from Mapusa and half an hour from Panjim. 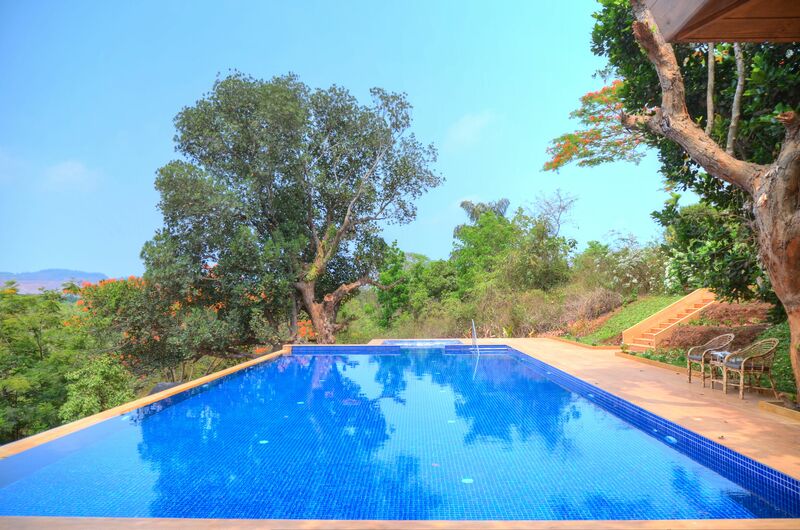 The beaches of Mandrem, Morjim, Baga, Candolim and Calangute are all approx 45 min drive. 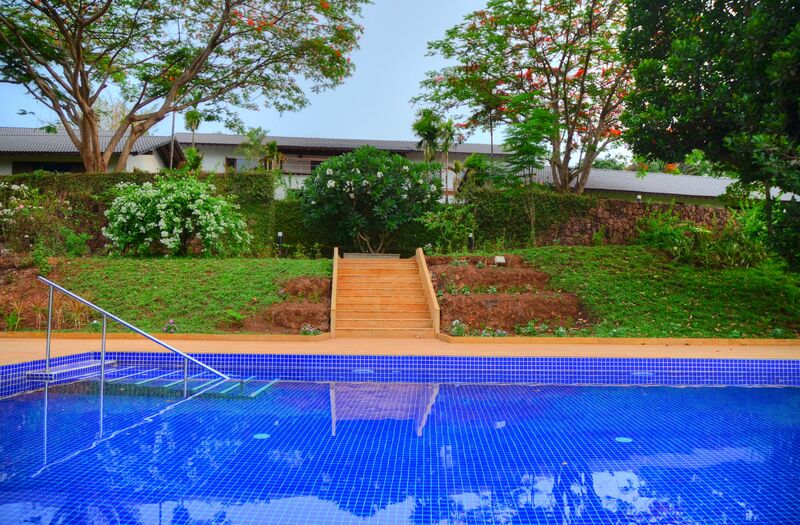 There are 2 other private villas on this property. 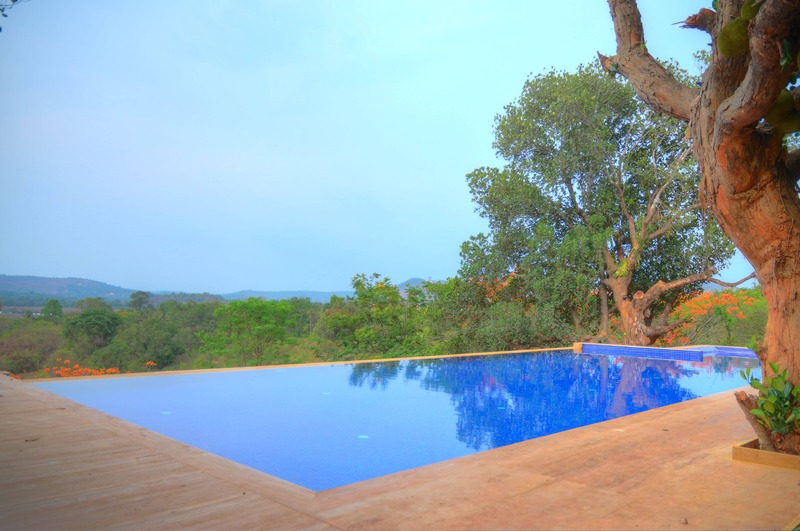 Each villa has its own private pool and private garden. 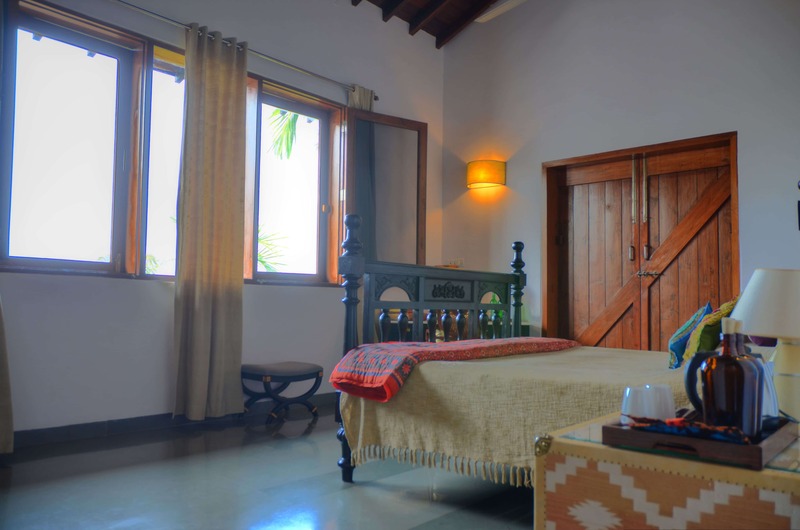 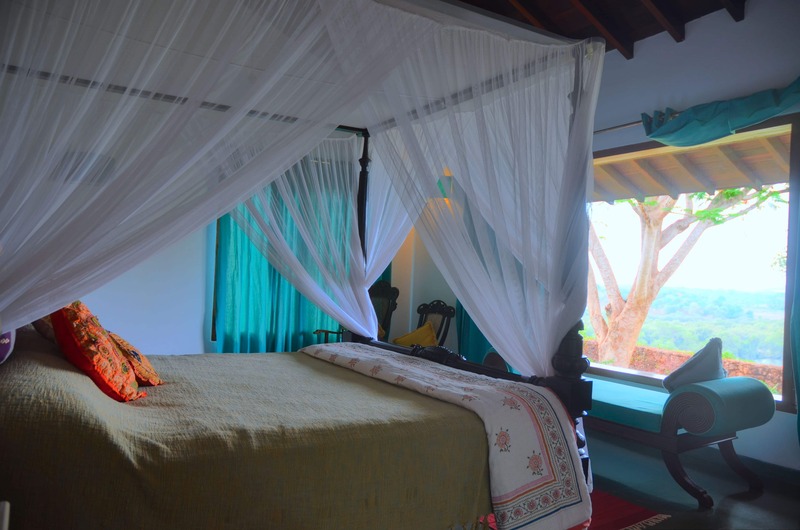 Each of the 3 en-suite air conditioned bedrooms are spacious and styled with a mix of contemporary and Indo-Portuguese furniture in bright hues. 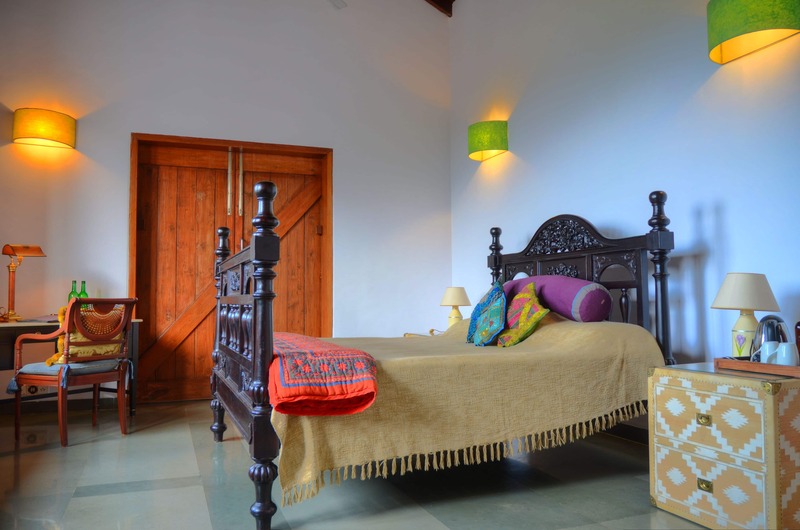 The bedrooms overlook the stunning garden and the bathrooms are partially open to the sky. 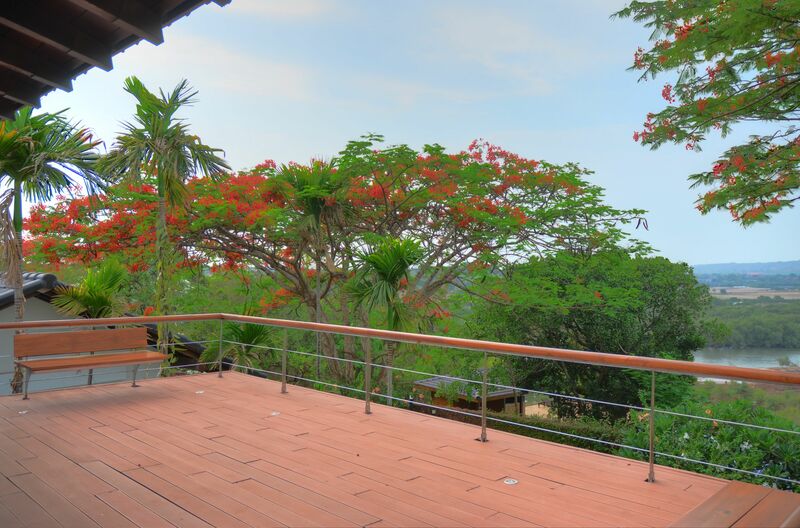 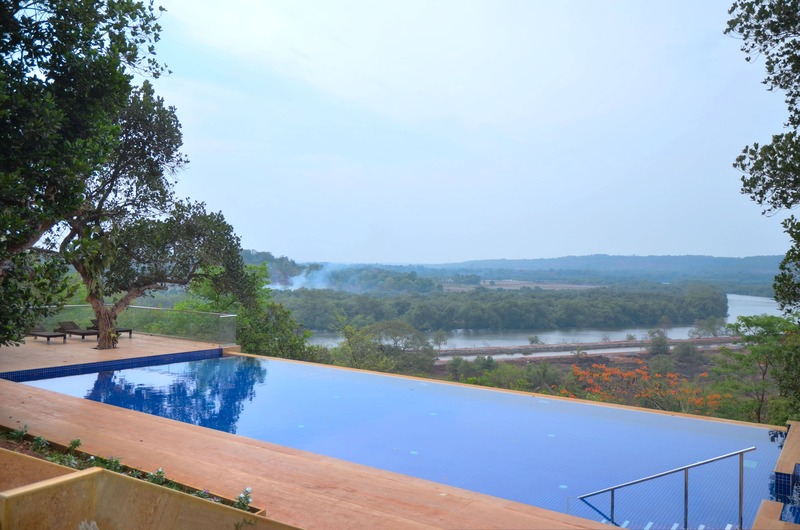 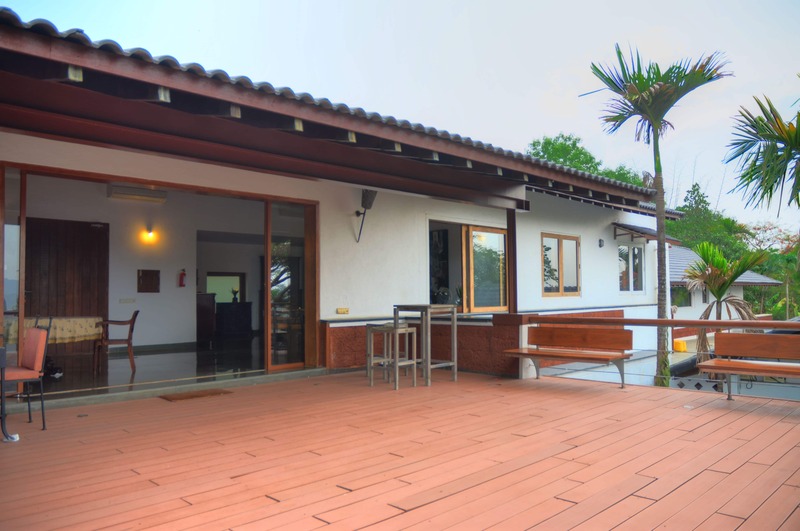 The huge wooden deck offers views of the hills, the swimming pool the river beyond. 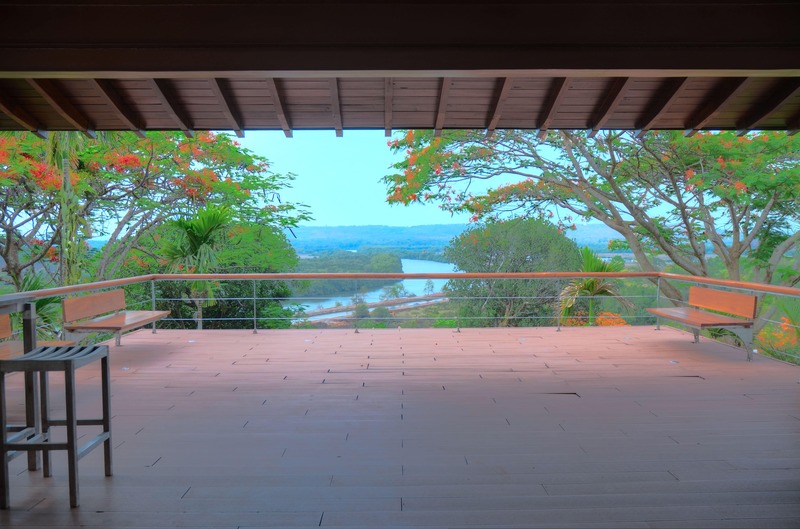 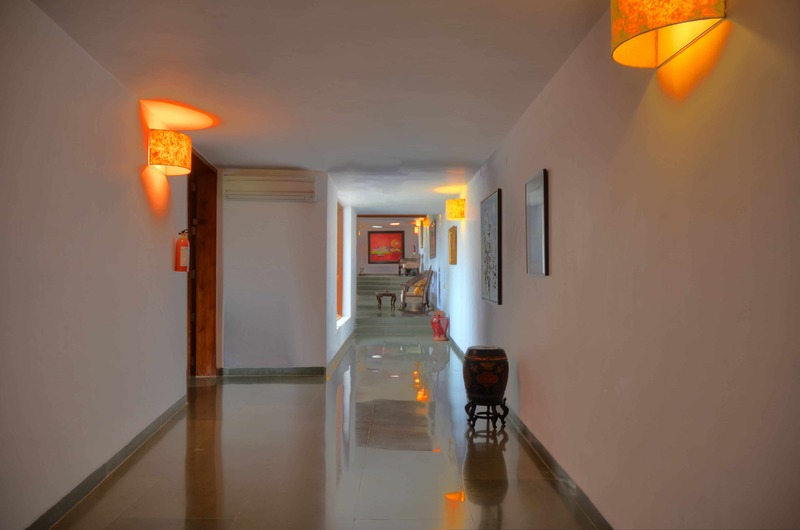 It is the ideal place to lounge around with friends and family or simply sit and soak in the peace and tranquility. 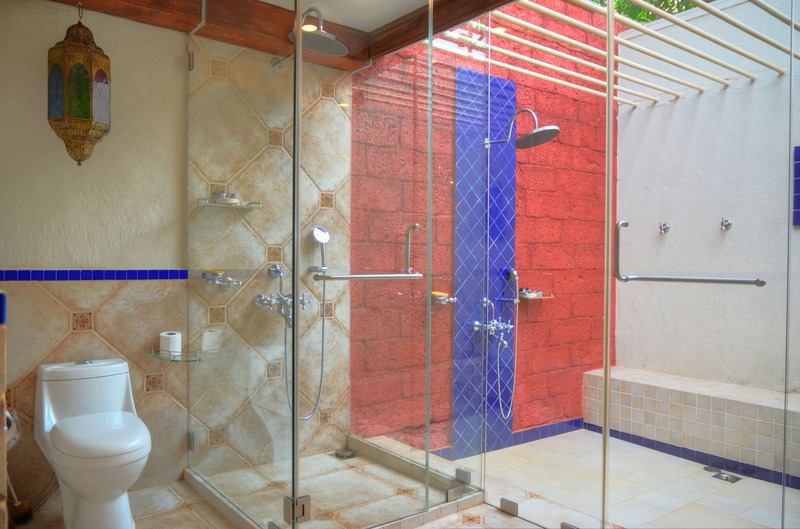 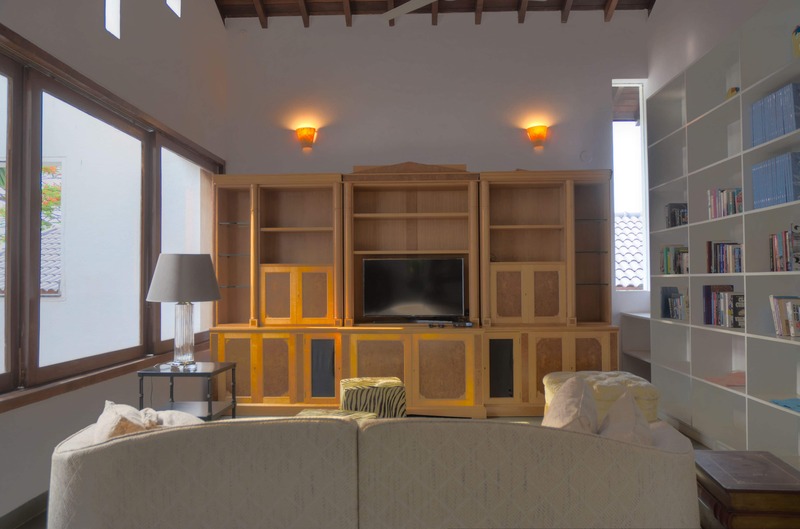 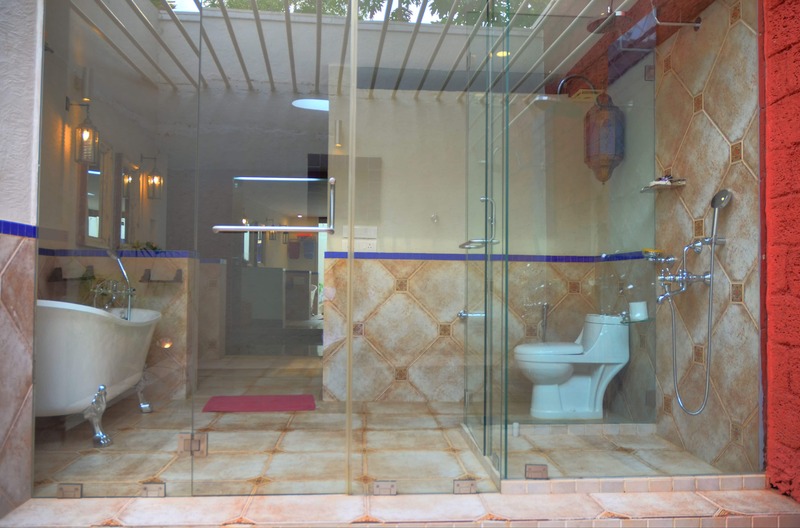 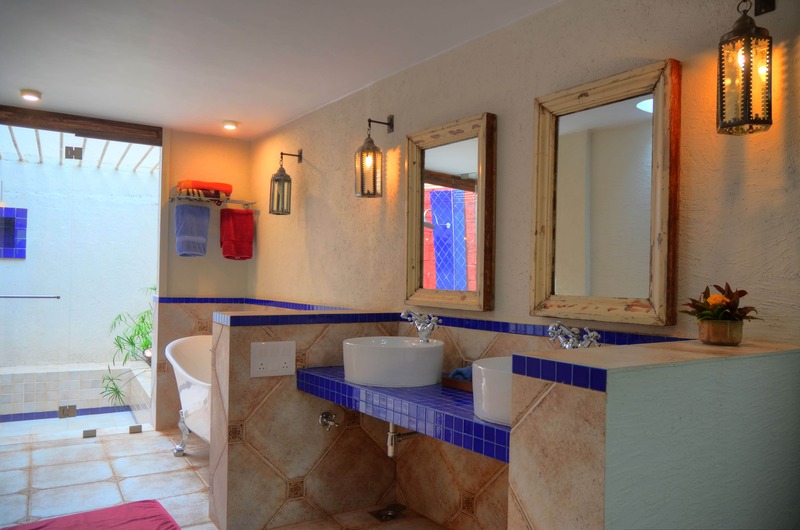 The villa has a well equipped kitchen, a dining room and a large living room, and infinity pool with a Jacuzzi. 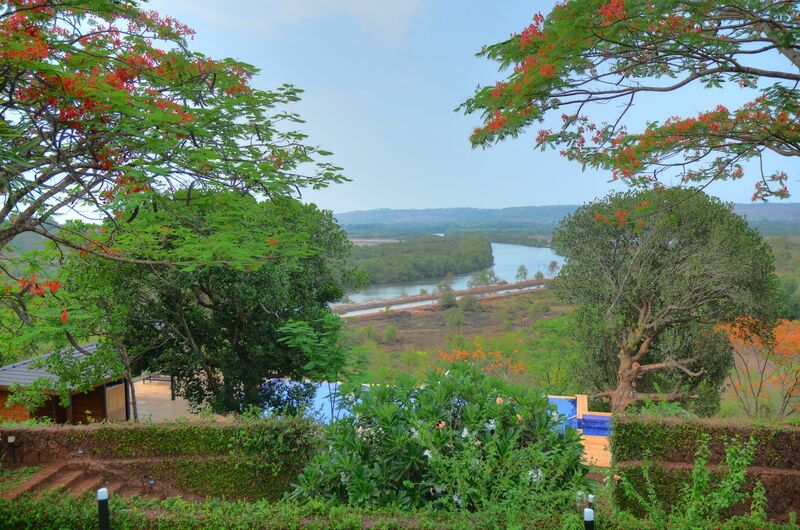 Apart from strolling through the garden, there are lovely walks through the countryside and the old Portuguese fort is worth a visit. 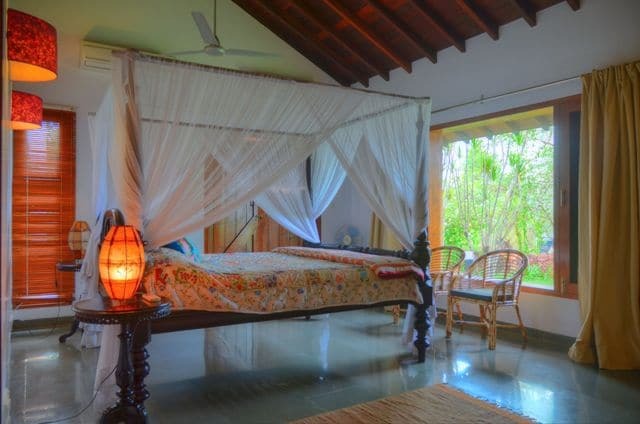 A haven for nature lovers, you could watch peacocks stroll through the garden and numerous birds flit through the trees and flowers that surround the villa. 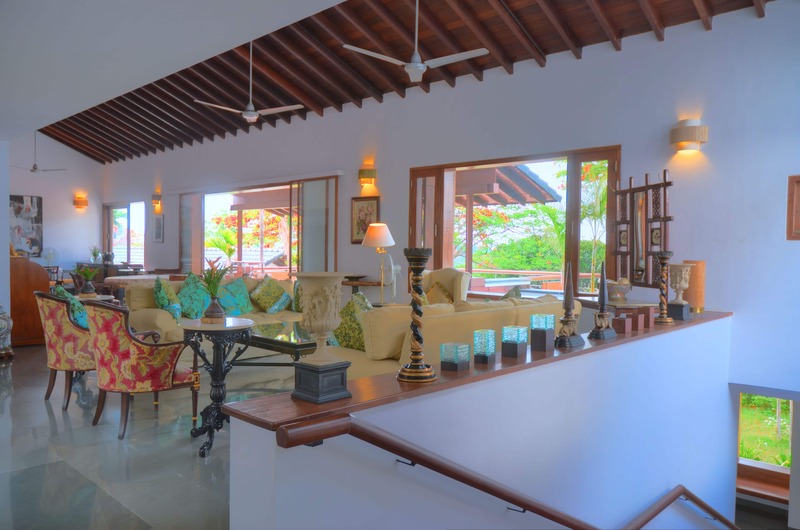 The villa concierge would arrange local bird tours and treks and a boat ride along the backwaters.